One of our favorite books is Click, Clack, Moo: Cows That Type . We have the entire series. In fact, we have two copies of a couple of the books. A few days ago, the books began to come to life at our house. 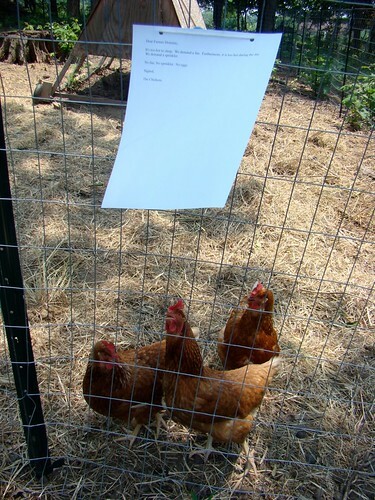 Dominic discovered a note posted on the chicken's pen. It's too hot to sleep. We demand a fan. Furthermore, it is too hot during the day. We demand a sprinkler. No fan. No sprinkler. No eggs. 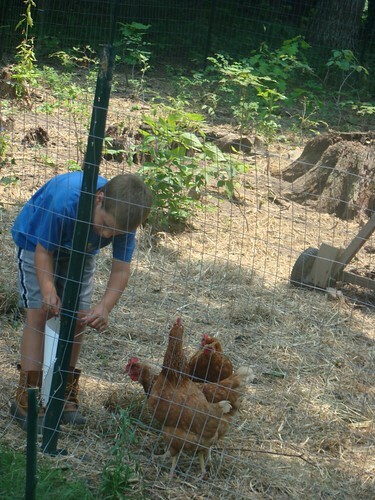 Dominic quickly posted a response that told the chickens that they were, after all, chickens. They should just go about their business of being chickens. Then, he went searching for their typewriter. 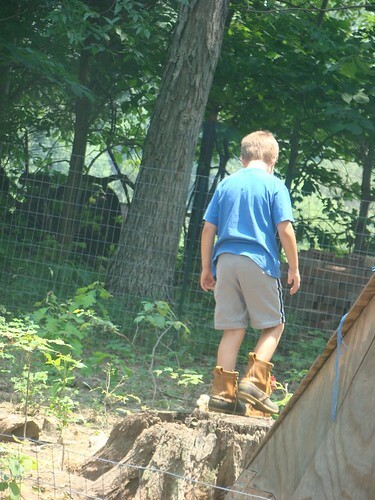 He is almost positive that the chickens are using some sort of cloaking device to make their typewriter look like a stump. And, he knows this rebellion is all the new chicks' fault. After all, if Ms. Shannon hadn't allowed them access to books while they were at her house, they never would have known how to type and start a rebellion.